Buying oats in Israel? 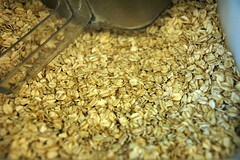 In Hebrew oats are שִׁבּוֹלֵת שׁוּעָל (shibolet shual); in Israel they are also known as קְוֵקֶר (qvaker). 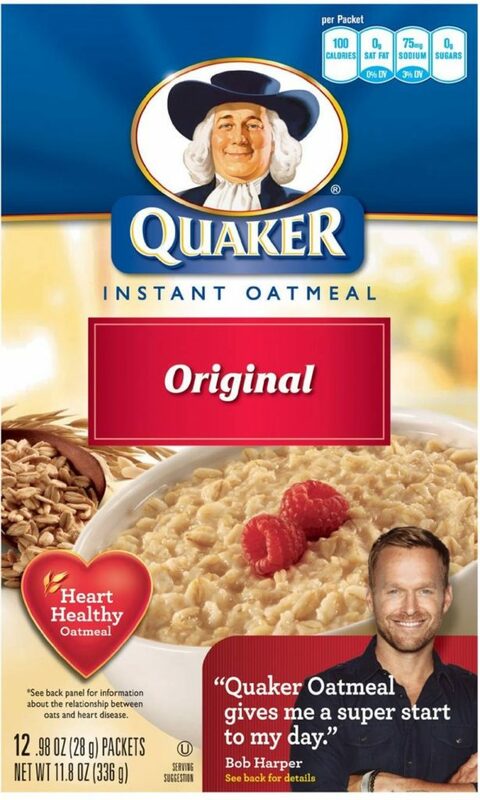 When we started our quest for better health a number of years ago, one of the many products we stopped buying was instant oatmeal. Instead we began buying plain rolled oats and soaking them overnight. Soaking in acidulated water breaks down the phytates and enzyme inhibitors – anti-nutrients found in grains, seeds, and legumes – thereby increasing its food value and making it more digestible. We put a cup or two of oats, a cup or two of water (equal to the amount of oats), and a couple of tablespoons of yogurt (you can use lemon juice, whey, buttermilk, or kefir instead) in a pot that’s left to soak on the stovetop or counter (no fire) overnight. In the morning we add another cup or two of water*, bring to a boil and turn down to a simmer for about five minutes, stirring occasionally or using a heat diffuser so it doesn’t burn on bottom, and voila! With a bit of minimal preparation and time we have a pot of thick and hearty oatmeal. Each family member adds his/her choice of flavorings, fruits, etc, into the oatmeal to make a nutritious meal. Some often put unheated honey or pure maple syrup into their oatmeal. I like adding to mine yellow butter from pastured cows, about a tablespoon of coconut oil (for its health benefits, not taste) and sea salt. Besides tasting great and providing vitamins, the fat from the butter slows the absorption of sugar into the bloodstream (oats, being a carbohydrate, are composed of chains of glucose (sugar) molecules which are broken down during digestion). 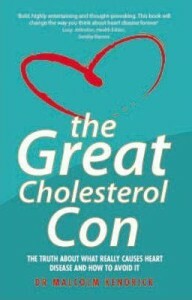 Fat is also essential for the absorption of some vitamins and minerals. In the video above, Sarah, The Healthy Home Economist explains how to properly prepare oatmeal. One of the benefits to soaking oats, she mentions, is that you have a more filling food than if you hadn’t soaked them, so you don’t need to eat as much. I know that we figure about a half a cup of raw oats for each filling bowl of oatmeal, but this was the first time I had really thought about that in comparison to the satiety of a bowl of instant oatmeal. Checking the Quaker website, I found it hard to compare the two since instant oatmeal packet sizes vary depending on type and variety which, from what I could see, is anywhere from from .98 ozs to 1.58 ozs. The website does explain the difference between instant oats and regular steel cut or rolled oats – instant oats are rolled thinner and cut smaller. I weighed a half cup of regular oats – it’s about 1.5 ozs. So, considering the small size of many packets and making allowance for the dehydrated fruits and other additives they contain, there is really not much food or nourishment to be had. In fact, when we were using the instant cereal my son often had two packets since one was not filling and I often walked away less than satisfied after one packet as well. Since it is really fast and simple to soak oatmeal overnight and cook it up in the morning, the “convenience” of instant oatmeal is really illusory; it is no bargain health-wise or money-wise. Buying oats when we first came to Israel was a bit of an experience. We were floored when told that oats are called “qvaker” here because, after all, Quaker is the name of a company that makes oatmeal, not the name of the food. In my olah chadasha naiveté, I thought that someone needed to educate Israelis about this! However it really is no different than saying “Kleenex” when you mean tissue, using the word “Xerox” when you want to make a photocopy, or even saying Sanka years ago when you meant decaf coffee. (I once did this in England and realized afterward that since this was an American idiom the waiter probably thought I was saying Thank You!) If you’re like me and can’t bring yourself to ask for “qvaker” you can ask for shebolet shual which is the correct Hebrew word for oats. No matter what you call it, please make sure you skip over the instant oatmeal, even if it’s on sale, because plain rolled or steel cut oats are actually the real deal! What will you be feeding your family? * The rule of thumb for adding water to cook grains is twice as much water as the amount of grains. Of course, you could always add a little more water if you like your oatmeal thinner. Do you cover the oats when soaking overnight? With what? Yes, I always cover whatever I’m soaking. If I soak the oats in the pot I will be cooking them in then I just put on the lid; If I soak in a bowl, I cover it with a plate but you could also use saran or foil. 1- The oatmeal I buy here all say “instant”, whether “dak”, thin, or “aveh”, thick, bigger pieces. Is this the recommended kind? Which is better? 2- I also use it to make home-made granola. Would you soak it then as well? You have to ask for oats, either “shibolet shu’al” or “qvaker” (as in “Quaker oats”). I buy it organic at the health food store, but you can also find it with the grains and legumes in the supermarket. Where can I find Steel Cut Oats in Israel? All of the oats I found whether Quaker or not are rolled oats only. Where can I find Steel Cut Oats in Israel? The only oats I have found whether Quaker or otherwise are all rolled oats. I haven’t seen any either, but I have only been looking at the organic oats not the prepackaged Quaker Oats. With the organic I’ve only seen a choice of thicker or finer oats. You might be able to buy steel cut oats online. I bought some today in Tel Aviv. 5 Pings/Trackbacks for "Thick and hearty oatmeal – the Real Deal"